Need an EGGstraordinary way to show a loved one just how you feel? Farm Pride is helping you out this February 14th! 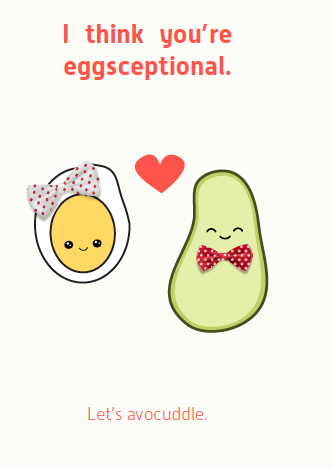 The downloadable Valentines Day card below is a yolking good way to show your someone special just how much you care. It may also get you a bit of a cuddle. This card is perfectly matched on Wednesday morning with a homemade Avo Smash topped with a Farm Pride boiled egg – because weekday brekki’s in bed are a luxury we all deserve. For other recipe ideas click here.